Evil, meet my sword! Sword, meet evil! Generations have passed since the original Heroes of Baldurs Gate saved the city and the Realms. 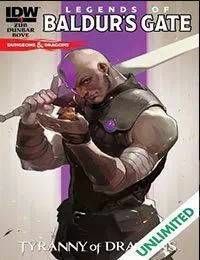 Now a new threat rises and an unlikely group of misfits are thrust into adventure with MINSC, the legendary Ranger do-gooder with a heart of gold, brain of lead, and hamster of pronounced wisdom.